As the Impressionists proved, there’s nothing quite like painting direct from nature for creating lively and spontaneous work. It’s the serendipity of the process that gives it that spark. 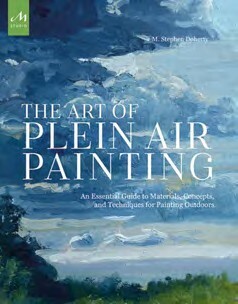 Drawing on years of experience, well-respected tutor and artist, M. Stephen Doherty, has brought together the best plein-air methods and tools in The Art of Plein Air Painting. Working within a time limit, rationing supplies, dealing with sudden changes in the weather and simplifying the scene before you, are just some of the subjects he covers. Throughout, there are examples from many of the world’s best plein-air artists, such as Manet and Singer Sargent, together with interviews from contemporary masters. 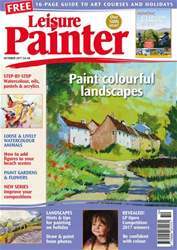 There’s plenty of resource material too, with information on plein air and quick draw events. For anyone wanting to build the courage to get out there and start painting, this book is a must.